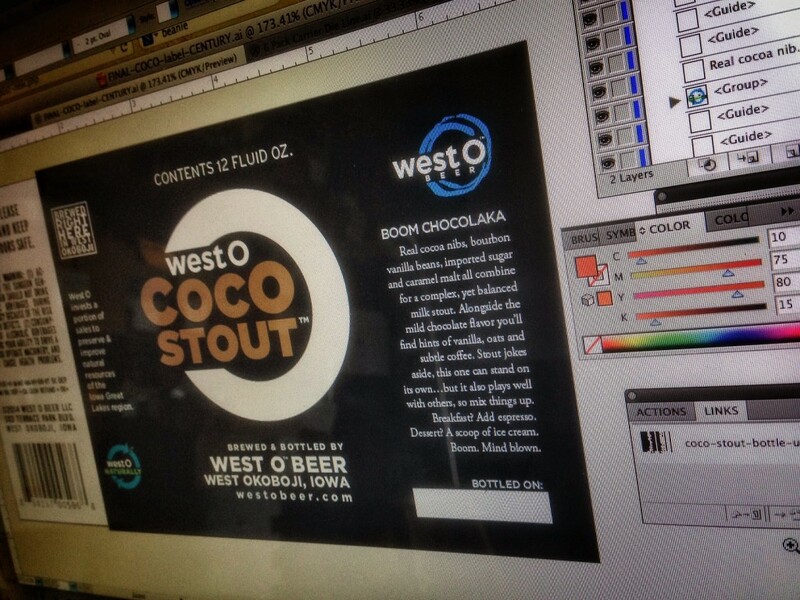 CocO Stout, in bottles, soon. 03 Sep CocO Stout, in bottles, soon. So, what have we here? A computer mockup that we have to submit for government approval before we print labels. This may just exist in the virtual world for now, but pretty soon it’s going to make a break for the real world. We’re confident you can figure out the rest. If you visit the tasting room, you probably already know about CocO Stout because it’s been around a while on tap. What’s in it? Real cocoa nibs, bourbon vanilla beans, imported sugar and caramel malt. There’s a mild chocolate flavor with hints of vanilla, oats and subtle coffee. Karl says it’s a Milk Stout, and that’s that. Oh, yeah. What’s not in it? Coconut. Boom Chocolaka. It is so good, had 2 glasses. Palor City Pub, Cedar Rapids, IA. Just tried it at Top of the Vine at the Iowa State Fair and it is yummy. Got a good one here. Got my bottle at Wheatsfield Coop in Ames. Delicious chocolate stout. Hope this is a year round offering. Thanks! And yes, absolutely, it’s a year-round beer, on tap and in bottles. Cheers! Will your CocO Stout be available in the Iowa City area? When will the coc-stout be bottled? I am trying to plan my replenishing trip to Des Moines around the release. CocO Stout probably isn’t going to be bottled for 4-6 weeks. Our labels and box art is still in the government approval phase. This blog, Facebook, and Twitter will be the places to watch as we get more information and a better timeline. It will be worth the wait! Can’t wait. Congrats on the Gold Medal !! !